Is it easy to catch fish? Going by reports of indiscriminate fishing, bycatch and overfishing, it seems like merely putting a net in the water will guarantee a fisherman his catch. But even with over one hundred species of fish in Indian waters, it takes skill to make a living from fishing. Fishing techniques are learnt from years of experience. It is a body of knowledge that is not written or recorded. While some of this knowledge is transmitted orally across generations, much of it comes from practice. When a fisher can tell the availability of fish just by looking at the colour and currents of the sea, it reflects a connection with nature that combines knowledge with practice. Fisherfolk know something about the marine environment that other people don’t. In seven years of talking to fisherfolk across India, I have repeatedly come across one sentiment: “How can you be a fisher if you don’t know the sea?” Knowledge, occupation and identity are integrally linked in fisherfolk’s minds. Well past the age where his fingers can hold the thread to repair the net, Achrekar, who used to operate gill nets around Malvan in Maharashtra, still identifies as a fisherman. It has been a decade since he has gone to sea. Still he remembers particular places in the ocean, beyond sight of land, where the water is a deep blue, places of stillness, almost meditative. Of course, these are not daily encounters, but knowledge is revealed in such detailed memories. 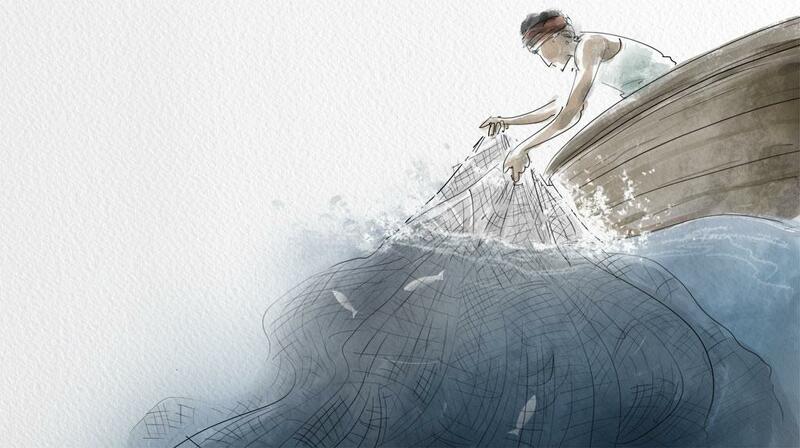 “Oh, I know at least 50 types of fish,” says Sadanand, a gill-net fisherman in Maharashtra. His sun-kissed skin and lithe movements belie his age and experience of over 40 years. When I ask him to describe these fish, he starts with a description of water—its colour, depth and currents. This is important, he says, because a fisher needs to know where fish live, what they eat and what they do at different times of day. This helps them know when, where and how to set a net to catch a particular species. Timing is particularly important if fishers are targeting specific species, say, a species that moves during the night, because by removing the net at day break, they can avoid catching other species. Knowledge of the sea has implications, not only for the success of the fisherfolk, but also for ecological sustainability. Fisherfolk may approach knowledge differently than urban, English-educated people who seek it in books, through a particular system of theory and practice. Some may find that it suffices to know something about species of commercial value. Others learn how to use the global positioning system and SONAR fish finders. Still others learn about the migratory nature of fish, or how some fish have good eyesight and can see the net, unless it is set on moonless nights, and other fish make noise in the early mornings, which can be heard through an empty tube placed on the ocean’s surface. These different forms of knowledge are associated with different fishing practices and lead to groups of fishers who have different relationships with the sea. I found a trawl fisher using a fish finder to be more sensitive to the idea of fish population declines than a small-scale rampan fisher who cast his net on the shore and pulled it manually, because the trawl fisher grew up in a family where fishing was a traditional occupation, and fell asleep listening to stories of fish and fish catch as a child. The rampan fisherman was new to the field and was only concerned about marketable fish, irrespective of their ecological value. These findings turn on their head the idea that modern technology breeds fisherfolk who are unconcerned about the environment. Ecological ethics are more complex than that. The sustainability of our fisheries depends on the ethical fishing practices developed by fisherfolk. Their ethics are, in turn, shaped by their knowledge and perceptions. That’s why exerting external, government-led control on fishing practice will not work. Fisherfolk can sense changes and make connections more quickly than science can verify. A fishing society formed by gill-net fisherfolk in Sindhudurg, Maharashtra, has made representations about ecological declines to the government. “We know that some species have disappeared,” they say. “We no longer find some catfish and hilsa species, which depend on rivers for spawning. This is because the rivers are polluted.” While it may appear that these fishers are merely passing the blame to river polluters, they are quick to admit that perverse incentives ensure that fishing is also causing ecological declines. “Our regular fish like sardines and mackerels are also declining, and we can and are trying to do something about that, but the fish dependent on rivers have actually disappeared. What can we do about the actions of people who live upstream?” they ask. It pays to take seriously the concerns of people who are so deeply integrated with the natural environment, because their livelihoods completely depend on it. Local ecological knowledge has allowed some fisherfolk to distinguish that while certain species may be declining due to overfishing, other species have disappeared due to pollution from the rivers that drain into the sea. While theoretically acceptable, empirical ecological research on marine life in India is yet to make such connections clear. Knowledge is critical to developing ecologically sustainable practices, since it makes people aware of and alert to the consequences of their actions. As relationships in the fishery change, fisherfolk begin to lose these deep connections with their environment. Like the rampan fisherman I mentioned earlier, some begin to see fishing as a job. They never stay long enough to see the consequences of their actions. Stories, observations and experience change mindsets. This is what makes it possible for a fisher to catch fish. Divya Karnad is associated with Rutgers University, USA, and Foundation for Ecological Research, Advocacy and Learning in India.